Gordon Keith Hatcher, 55 of Jetson, Ky. passed away Wednesday March 11, 2015 at his residence. 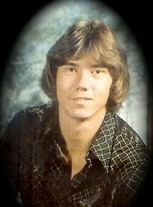 Keith was born October 5, 1959 in Bowling Green, Ky. to the late Jewell Austin Hatcher and Nancy Marie Tyler Hatcher. He attended Crossland Community Church in Bowling Green, Ky. and taught psychology at Ohio County High School for 20 years. He loved the outdoors, hunting, fishing and was a avid collector of old Coleman Lanterns. Gordon Keith Hatcher is survived by his wife of 34 years Shelia Marie Hatcher of Jetson, Ky.; two daughters Keishia Embry husband Chase of Alvaton, Ky. and Keiliah Prater husband Matthew of Bowling Green, Ky.; two grandchildren Aimsley and Knox Embry of Alvaton, Ky.; three sisters Gilda Lee of Morgantown, Ky., Jance VanZant husband Russell of Elizabethtown, Ky. and Cassie Oaks husband Roy of Morgantown, Ky.; one brother Craig Hatcher wife Denise of Morgantown, Ky. and several nieces and nephews. Keith was a friend to many and will be missed by all who knew him. Sheila you are in our heart and prayers at this time. God bless you and your family.